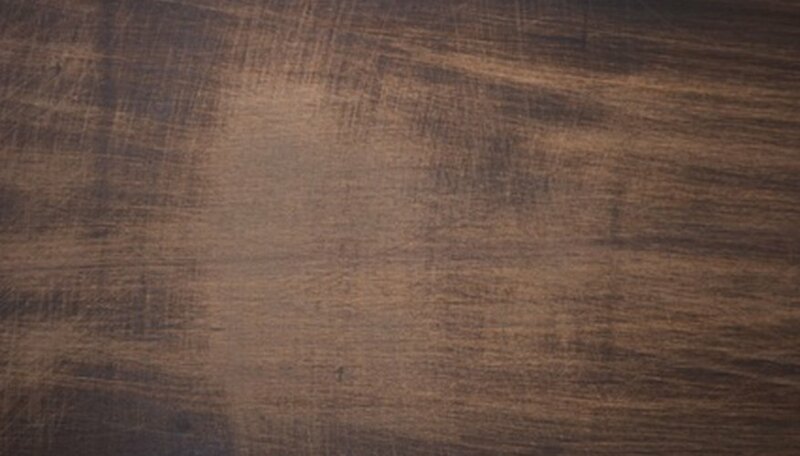 If the surface of your kitchen table is looking a little worse for wear but the table is still sturdy, a restaining project may be all you need to enhance the look. It is a simple weekend project, ideal for those on a budget who aren’t able to purchase a new table. Restaining isn’t limited to just your own tables. You could easily purchase a used kitchen table from flea market or yard sale and make it look like new for only a small amount of money. Move the table outdoors to prevent sanding dust or stain fumes from permeating the interior of the house. Keep the table in an area free from blowing leaves or debris to avoid ruining the stain job during the project. Remove any water stains or old stain varnish from the surface of the table. Use a medium grit sandpaper to smooth out the surface of the wood, working in the same direction as the grain. Wipe down the table with a slightly water dampened rag, making sure to remove all of the dust caused by sanding. Allow the table to dry thoroughly for at least two hours before adding the wood conditioner. Apply the conditioner to the table using a rag or foam brush. Cover the entire table. After 15 minutes, wipe any excess conditioner off with a clean rag. Allow the table to dry thoroughly for 30 minutes, once again going over the table with fine grit sandpaper and wiping down with a damp rag. Stir the stain in the pot to mix, and apply to the entire surface of the table using a clean rag or foam brush. Once applied, wipe the table down with a clean dry cloth going in the same direction as the grain. Allow to dry, and add a second coat if desired to darken the stain. Dry for at least 3 hours before adding polyurethane varnish. Finish the staining by adding a protective coat of polyurethane to the table. Apply the finish using a clean foam brush, and allow it to dry as directed by the manufacturer before using the table.